gently removes dirt and make-up from the skin while preserving its natural protective layer. offers purity and freshness and optimally prepares the skin for the night care. 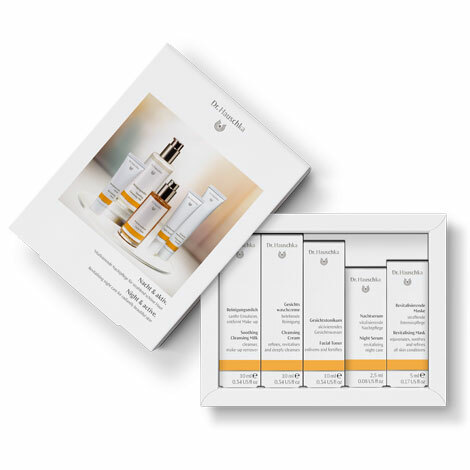 strengthens the skin and regulates the moisture processes – the ideal second step in the skin care regime. allows the skin to breathe freely and stimulates the nightly renewal processes – restoring the skin’s natural balance. 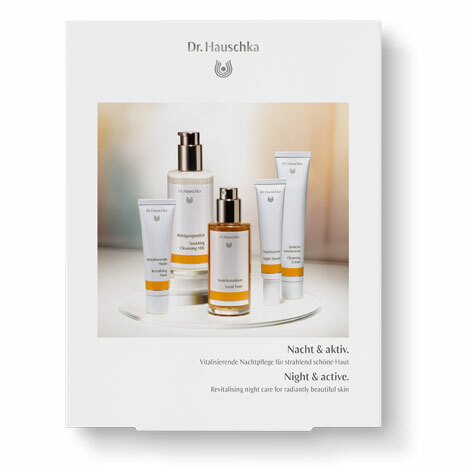 refines the skin and helps it retain moisture – the ideal introduction to Dr. Hauschka night care.